This month sees the release of three new machines from Amstrad, namely the redesigned CPCs, 464 plus and the 6128 plus and Amstrad's first launch into the 8-bit console market, the GX4000. 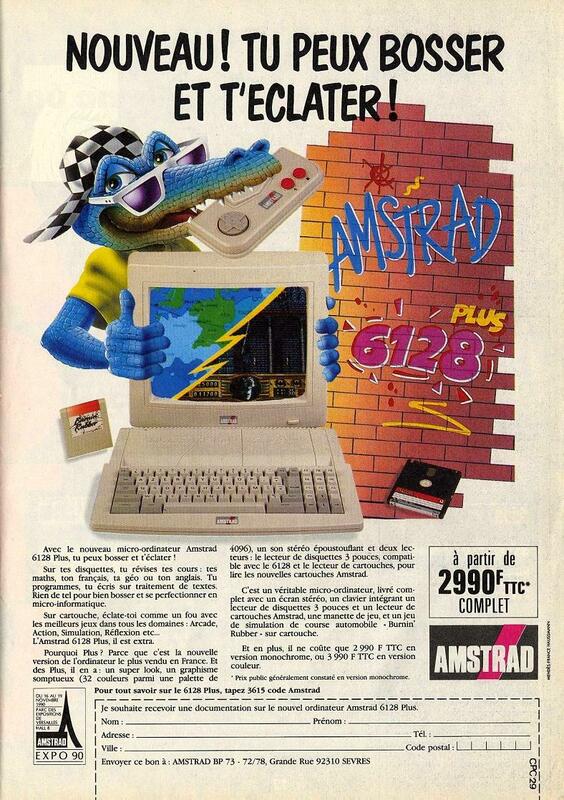 ACE brings you the definitive and unbiased review of what Amstrad hope will take them into the lead in the 8-bit micro market. 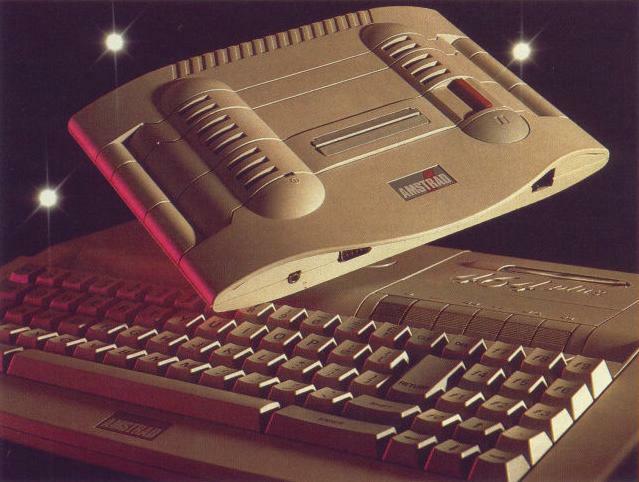 The key to Amstrad's new range is considerably improved graphics and sound performance, achieved through custom hardware and new firmware routines. There's also a reasonable number of purchase options. There are three machines: two upgraded CPC's and a new console. If you just want to access the new technology. £100 will get you a GX4000 console, two paddle controllers, a demo cartridge containing Burning Rubber, a WEC Le Mans clone developed by Ocean and a few pence change. However, if you prefer the added functionality of a CPC with keyboard and storage medium (tape on the 464, disk on the 6128) AND the opportunity to play the new console games, then a new cartridge port on the CPC Pluses allows you to do so - at a little extra cost, of course. It all sounds like a perfect strategy, but how does it work in practice? Starting on common ground, namely the CPCs, the most noticeable change is the redesigned packaging. Gone is the 'cardboard box' appearance of long ago. They have now been redesigned to fit on the shelf with Amstrad's successful range of PCs and PCWs. Decked out in a rather fetching combination of cream and grey, with peripherals Itape deck on the 464, disk drive on the 6128) housed tidily in the rear, right hand corner of the machine (as with an Amiga or ST), they are very attractive looking machines. Beauty is, as they say, only skin deep, and the design of the machines reveals a couple of flaws at closer inspection. On the 464, one major problem we encountered was the operation of the tape deck. The controls are sloped, and set at an angle to the keyboard. Obviously you have to press the buttons down to make them work, which is a lot easier to say than to do. For some strange reason, the buttons are designed to pivot inward, not downward, 'locking' at about a 45 degree angle from the tabletop. As the buttons are curved, this means you have to use a fair bit of pressure on them, which makes tape operation not only irritating, but downright uncomfortable. One other niggle - on our machine the cartridge slot required a pretty hefty shove to get the cartridge properly connected. That's better than beine too loose, sure, but you shouldn't have to push ' using this amount of force, the possibility of incidental damage increases proportionately. The good news, however, is that the old keyboards, which were very ‘springy' on the 6128 and rather unresponsive on the 464's, have now been replaced by a much brighter, faster and generally more solid feeling unit, with a far better arrangement of keys. 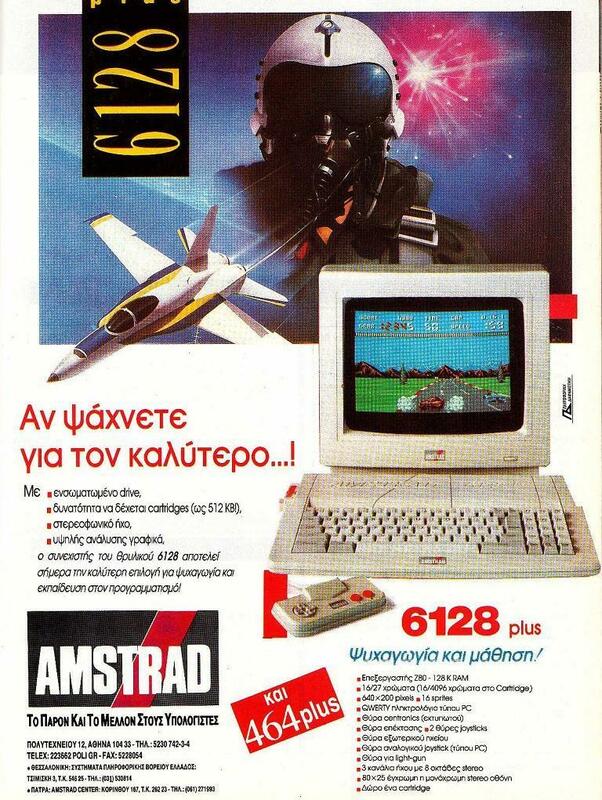 “We entered the home computer market in April 1984 with the CPC464. and since that time we have sold 2.5 million CPC machines. We are now offering 464 Plus and 6128 Plus customers the best of both worlds - they can continue to play their favourite games and can also enter the new world of the ROM cartridge game. And for those who just want to run ROM cartridges, we have the GX4000 console"
v9-pin joystick port, plus an analogue joystick port, opens up possibilities of game design that the previous ill-fated CPC's never had. That's not to say that all the old CPC software will fall into disuse. The Pluses have total compatibility with the old machines, and why shouldn't they? After all they are essentially the same machine. Here is the real problem. 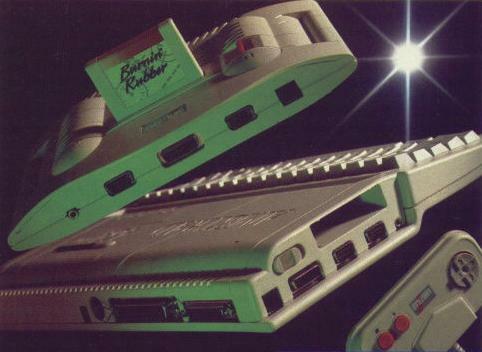 Even though the machines have these new sound and graphics chips (see box), the new circuitry can only be accessed through the cartridge port. This means that any new tape or disk based CPC software developed now, will have to be exactly the same as the old CPC software. This is apparently to ensure full compatibility with past, present and future software. Of course, you could produce cartridge software for both the Plus machines, but the cartridges don't come cheap for the software houses - which means they're certainly not going to come cheap for you. Expect to pay similar prices for cartridge software on these units to the ones you pay for 16-bit products. To all intents and purposes, the CPC plus range is the old hardware with the new GX4000 bolted on. As such, they're good machines for a first time buyer who prefers the convenience of the monitor bundling and one-plug Amstrad approach, but they're definitely not the upgrade that CPC owners are crying out for. 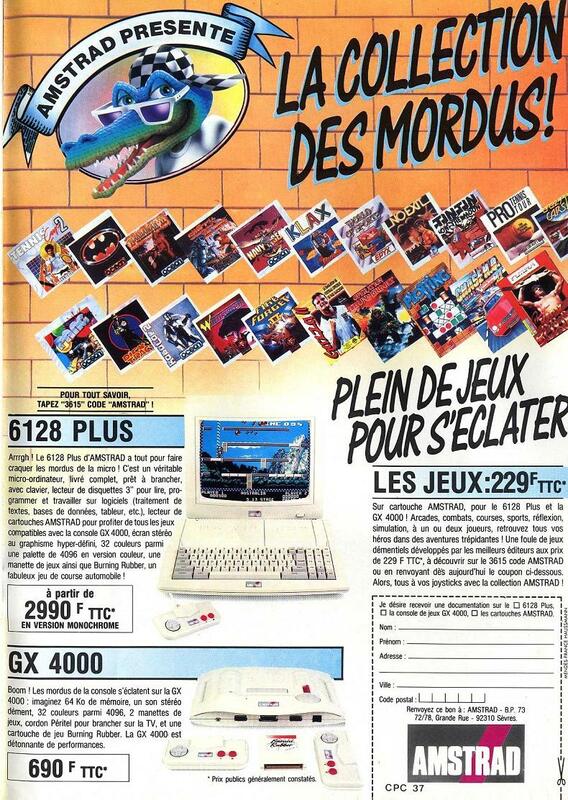 It's also dubious whether the price advantage of the monitor/6128 package over the Amiga is sufficient to win it a sizeable share of the market. Although an Amiga plus monitor costs substantially more, you can get the Amiga on its own for less and run it through your TV while you save up for the better display -and there's no real comparison between the Commodore 68000 machine and the new Plus range in terms of hardware capability. The GX 4000, on the other hand, is a completely different kettle of fish. It seems a bit unusual to release an 8-bit machine this close to the release of the Sega Megadrive and our initial thoughts before seeing this machine were that it was a bit of a waste of time and wouldn't have a chance. After taking a good look at it, however, we can honestly say that it puts the other 8-bit offerings to shame, bar the PC Engine. The GX4000 is the end result of ‘months of work' liaising with some of the ‘top programming houses in Europe', finding out exactly what they would want to see in a machine. So what you have is an 8 bit machine with a palette of over 4000 colours, true multi tasking sound and graphics capabilities and the most-used arcade routines, such as pixel scrolling and sprite generation and expansion, built into the hardware. The biggest improvements made are in the graphics and sound departments. Graphics wise, the palette has been updated to include the soon-becoming-standard of 4096 colours, of which 16 can be displayed on screen at once in normal mode, or 32 by using the hardware interrupts. Hardware pixel scrolling has now been incorporated, along with hardware split screen effects, with each area of the screen using it's own palette of 16 colours. There are 16 hardware sprites available, each 16 by 16 pixels, though for some reason there is no on board collision detection. Sound has also been improved - threo channels of stereo sound, through either a stereo monitor or headphones isn't much to write home about, but the good news Is that the sound chip can now be programmed to run separately from the CPU. True multi tasking with no loss of speed. For once this doesn't seem like hype - in fact Ocean are rumoured to be so impressed with the machine that they're giving it very comprehensive support over the next twelve months, so there'll be no shortage of software. The GX 4000 is also 'downwardl/ compatible with the old CPC machines, so old tape and disk software can be rejigged for cartridge release, though naturally the old routines will not be designed to access the new hardware features. As with the CPC Pluses, there are three joystick ports (two digital and one analogue), all video connections are handled through either a scart socket, a PAL TV modulator or Amstrad's regular monitor socket. A stereo headphone socket is built into the front of the machine. Visually, it's a very tidy looking machine and one that's surprisingly sturdy, despite it's unusual size and uncanny resemblance to a Cylon attack craft. The controllers provided with the machine are pretty standard. A cross-shaped rocker switch operated by the left thumb controls direction and two fire buttons, used by the right thumb, control specific operations within a game, such as firing a weapon, changing gears in a driving game etc. We've never been a fan of these 'compact' little controllers, and this one, with smaller controls than most, is no better than the rest. Whatever happened to joysticks? If Burning Rubber, the cart supplied with the console, is a taste of what's to come, then the future looks bright. A fast, smooth colourful race game that's a fair cut above the usual racing rubbish we see on 8-bit machines, and a good argument against those who say 8-bit technology has two feet and a torso in the grave.